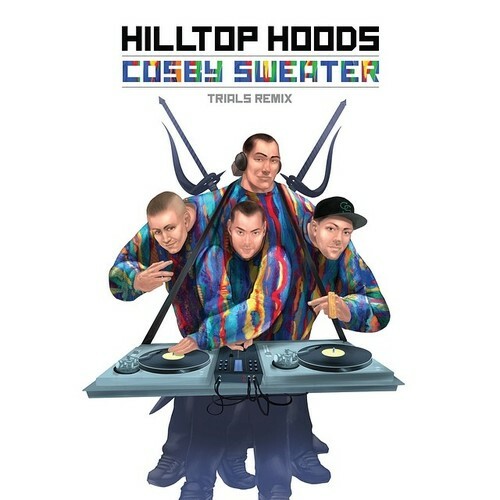 “Cosby Sweater” is a song by Australian hip hop group, Hilltop Hoods. It was released as the third single from the group’s seventh studio album, Walking Under Stars (2014). 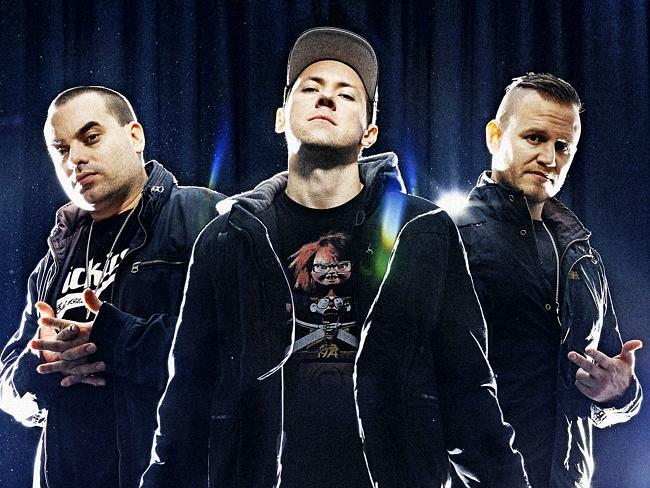 Hilltop Hoods formed in 1994 in Adelaide, South Australia. 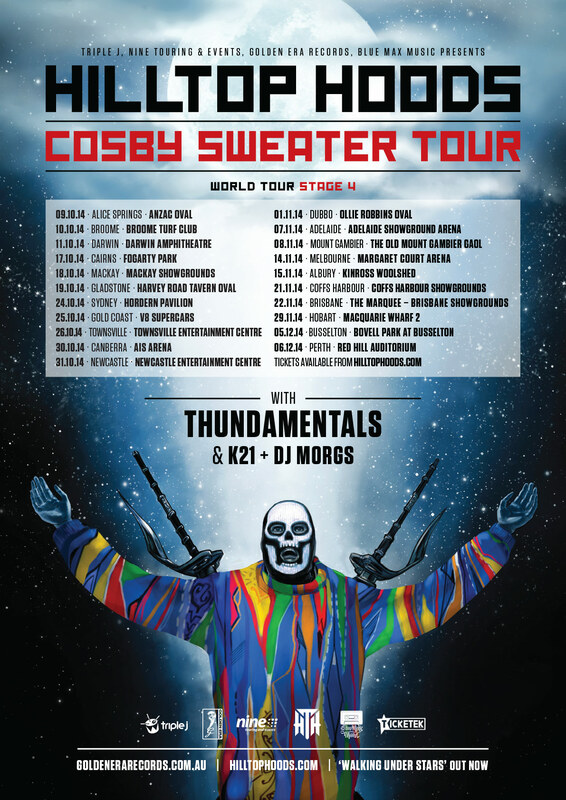 Hilltop Hoods’ ‘Cosby Sweater’, the lead single from the J Award nominated ‘Walking Under Stars, has been a big tune for the Adelaide trio. But people have begun asking a lot of questions about the naming of the track in light of recent sexual allegations that have been squared against Bill Cosby. 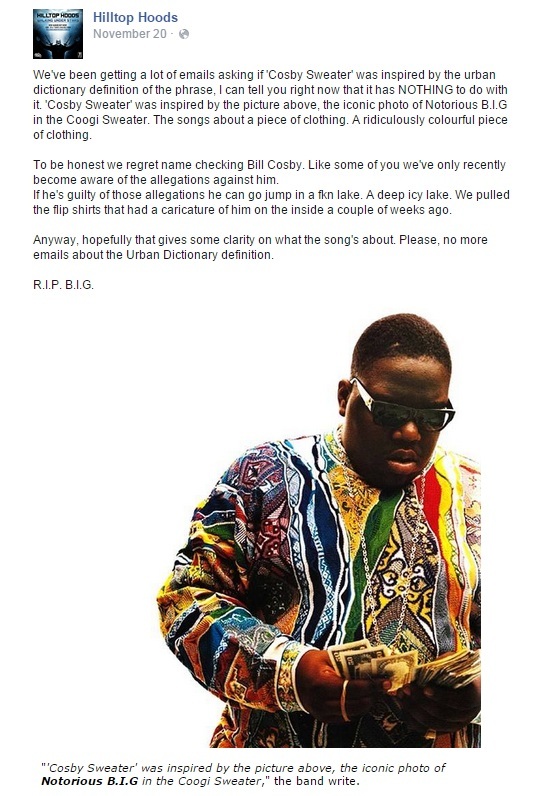 The Hoods have now addressed the allegations against the comedian and the intended message of ‘Cosby Sweater’ in a Facebook post.